Kayaking has given me my freedom. 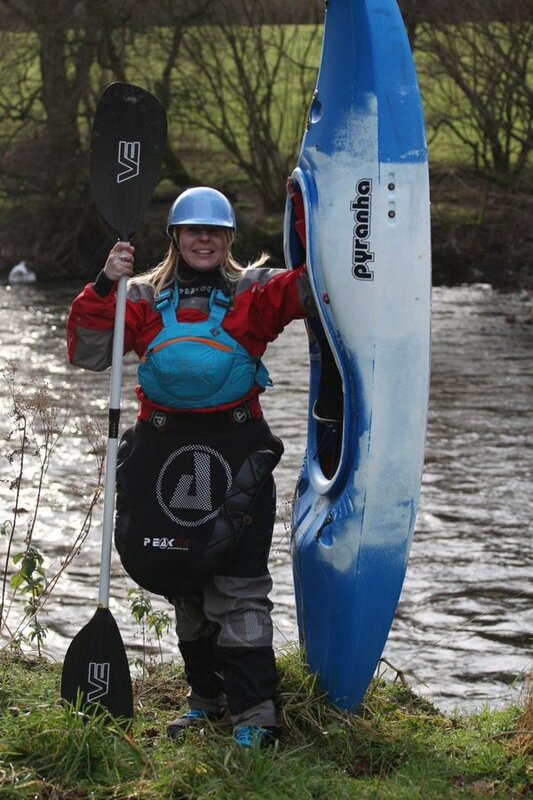 If it wasn’t for kayaking, I am not sure I would be the person I am today - let me explain. In October 2013, at 27 years old, I was unexpectedly hospitalised with a suspected stroke; I was unable to open my jaw, smile, speak or eat properly, and my left hand/arm stopped working. After many tests and a period of acute uncertainty and fear, a few days later, I was told that I have Multiple Sclerosis. After a year of adjusting to this new body I found myself in (I’m pretty sure a family of sloths would have taken me in with open arms) my physiotherapist suggested I start doing some exercise. I hate the gym – back then I spent my days working in a soundproof booth with no windows, natural air or light; the very idea of running on a treadmill like a hamster rather than being out in nature depressed me. My muscle on my left arm and hand had wasted away to the point that my rings would just slip off my fingers, and my left leg would tire incredibly easily after short walks; there was a very real need to regain my strength again, because as the saying goes - “if you don’t use it, you lose it”, and as MS is progressive in nature, despite peaks and troughs of relapses, this was something very tangible and sobering. At the time, I lived near the Vale of Llangollen with the beautiful river Dee carving its way through the valley - I would often see seemingly intrepid kayak explorers whizz up and down its water looking like they were having the most incredible of times. I was utterly inspired by them. 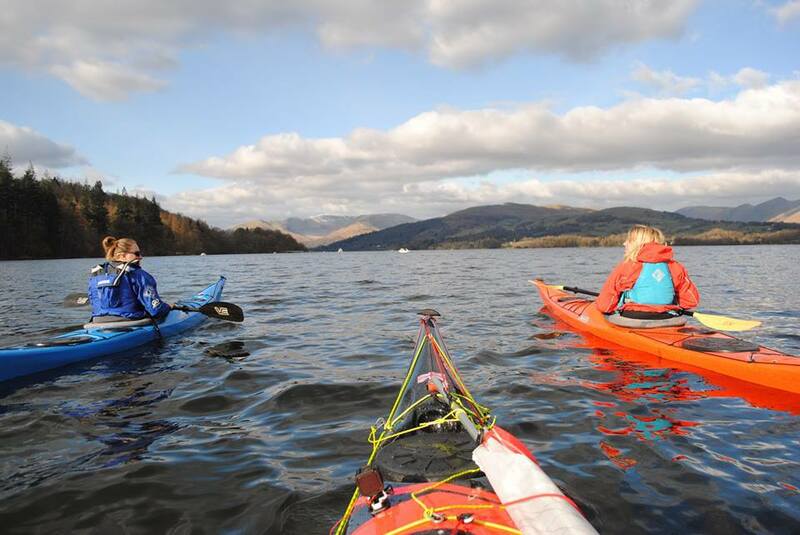 Kayaking wasn’t a completely foreign concept to me: as a teenager I was very fortunate to be sent on adventure holidays in the summer, where I would always gravitate immediately to the water-sports, particularly kayaking. It could be because I grew up so close to water along the Humber Estuary that I have always had a love of all things aquatic. Even when I was 10 years old and learning how to windsurf, I felt completely at home on or in the water; never afraid, just at peace and happy. Just before I became ill, as an Audiologist, I ran a campaign for the UK kayaking community about something called Surfer’s Ear, where I did some work with 7 times World Champion kayaker, Claire O’hara in order to promote the cause. At the point of beginning to feel stronger and with the advice of my physiotherapist to plunge into exercise again, and feeling inspired by paddling, I contacted her for advice regarding getting myself a kayak coach. 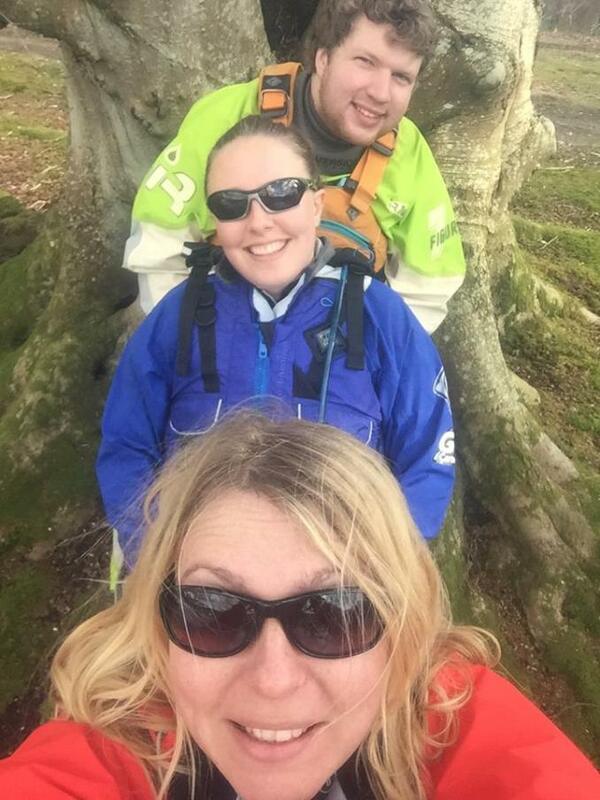 Claire put me in touch with Para-canoeist Kelda Wood as she herself has first-hand experience of compromised strength and the need for a compassionate and flexible coach. I had no sooner taken two slurps of my tea that I had a response from Kelda, and she was very enthusiastic about my mission to get fit again through the power of paddling. She pointed me in the direction of various coaches that she thought could help me, however one coach in particular stood out to me: Chris Brain. It felt like fate was drawing Chris and I together, as only a few months before I was hospitalised, we made contact with each about getting him protected against Surfer’s Ear and he was going to take me out on the water in return. My very first session with Chris was in November, 2014. Before even getting on the water, we decided that it would be help with motivation if we set ourselves a goal for our training. We decided that in 6 months’ time we would paddle Scotland coast to coast. Now if you saw me back then, you would understand what a mind boggling mission that was. 2014-2015 was a completely life changing year. I went from barely paddling half a day and unable to even share the load in lifting boats to being able to paddle three eight hour days in a row across Scotland and portaging fully loaded kayaks and canoes around many locks. Canoeing very quickly became the love of my life; not just for the pure fun of the activity, but for bringing me new and lasting friends, physical and emotional strength as well as childlike curiosity about the wild world around us. Paddling has made me fall in love with Planet Earth all over again and has driven me to break the status quo, live for NOW, embark on a lifetime of adventure and to never give up on my dreams – no matter how fanciful they may seem to average Joe and Josephine Blogs. Kayaking has challenged me both physically and mentally to the point where I now know I am capable of anything in the world and that I will never allow MS be a barrier to reaching my potential and leading a rich and happy life. This is a message I strongly want to communicate to anyone that will listen - I don’t believe in disability, only ABILITY – for me, paddle sport is one of the most beautiful sports in the world as it is so inclusive and I will spend the rest of my life promoting the sport far and wide. No matter who you are, with canoeing, there is always a way to make adventure or even competitive sport happen, no matter how light or intense. Paddling has quite literally given me my freedom – freedom to learn who I am as a person, freedom of my physical self, and in turn, freedom of exploration. I have been on many little micro adventures with some fantastic new people since paddling The Great Glen in 3 days last year- from canal jaunts to sea paddles, but my next challenge starts in just over 1 week. In less than 18 months, I have gone from being so weak that I’ve needed to have everything done for me to organising my own expedition (I have become an organisational spreadsheet demon! ), accompanied by a team of 4 new and dear friends; Erin Bastian, Mat Wilkinson, Anna Coulson and Cressida McCarthy. On May 15th we will be plunging our paddles into the water to circumnavigate Menorca completely unsupported (wild camping and all the challenges that poses, but thank goodness for Vango providing me with a snuggly sleeping bag for sound snoozles – thank-you!) in aid of MS Research. I am so excited to make this life changing and affirming trip accompanied by such beautiful humans; I have no idea what to expect but I already know that as a team, no matter what challenges come our way - from deciding our wild loo methodology to maybe hitting bumpy water - we will get through it all together whilst having a heaps of fun. Stay tuned for paddling updates.